Reservation not found. Please check the information entered. Note that reservations made with third parties (e.g. travel agents, Expedia, etc.) can not be listed, cancelled or modified by MGM Resorts. For further assistance, please call 855.788.6775. The name you provided did not match the reservation. Sorry, but your reservation details cannot be displayed online. You may have made your reservation through another website or travel agent. Please call the phone number from your reservation confirmation for assistance. Confirmation Number NOTE: Room Confirmation Number is case-sensitive. NOTE: Dining Confirmation Number is case-sensitive. To find and manage all your room, entertainment and dining reservations, just enter your information and we'll look them up for you. 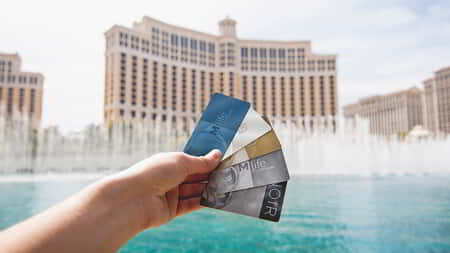 Check Out M life Rewards Before Checking In. And remember, M life Rewards is the easiest way to manage your reservations. There are no confirmation numbers to remember, you can receive special offers and you'll earn tier credits for virtually every dollar you spend.